Congratulations to the 2018–19 NHS Scholarship recipients! The 2019–20 NHS Scholarship application process will reopen in October, 2019. 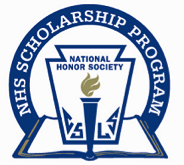 The National Honor Society Scholarship Fund has been established to support and grow the prestigious National Honor Society (NHS) Scholarship program. NHS is the oldest and best-known student recognition program. For nearly 100 years, NHS members have been making a difference in their schools and communities through their scholarship, service, leadership, and character. Alumni include celebrated individuals from all walks of life, including the arts and sciences, government, education, medicine, the military, politics, and athletics. NASSP is committed to growing the NHS Scholarship program in response to the dire need to increase college access and student success, providing additional resources to help students and families face the rising costs of higher education.